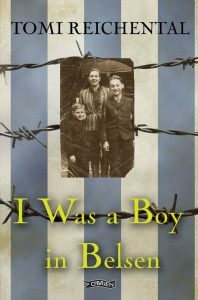 On the eve of the publication of the new edition of Tomi Reichantal’s powerful memoir, I Was a Boy in Belsen, Gerry Gregg, producer/director of the feature documentaries Till the Tenth Generation and Close to Evil, talks about his work with Tomi and all that has occurred since the initial publication of his incredible story. For the past twelve years, Tomi Reichental has been on a very public voyage of personal recovery from the searing embers of the Holocaust. Six million European Jews were annihilated during World War Two; among them were most members of Tomi’s extended family. How, Tomi wondered, could so much hate take root at the heart of Europe? The thirty-five members of his family who perished were farmers, shopkeepers, lawyers, doctors, mothers and children. In 1935, the year of Tomi’s birth, they had every reason to hope for the future. Within a decade, their neighbours and fellow countrymen would betray them and send them to a hellish death at the hands of Adolf Hitler’s genocidal killing apparatus. The RTÉ/Irish Film Board feature documentary Till the Tenth Generation (2009) took Tomi back to the most traumatic days of his life. It was he said ‘the time of the devil’ as he retraced the last steps of his loved ones who were gassed, worked to death, starved or guillotined by reason of their race, religion and political views. The RTÉ documentary Close To Evil (2014) took as its starting point Tomi’s quest to meet one of Hitler’s willing executioners: the convicted SS war criminal Hilde Michnia. Hilde Lisiewicz, as she was in 1945, was on duty in Bergen-Belsen during the period that Tomi, his brother Miki and his mother Judith were incarcerated and slowly starving. Tomi’s grandmother, Rosalia Scheimowitz, perished from hunger on Hilde Lisiewicz’s watch at Bergen-Belsen in March 1945. 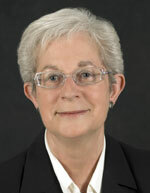 In the multi-award-winning Close to Evil, Hilde Michnia made a number of incriminating statements. Frau Michnia openly admitted in interviews she gave in 2004 that she was also involved in the forced ‘evacuation’ from the Gross-Rosen network of camps in what is now Poland to the town of Guben in January 1945. We know that the word ‘evacuation’ was a euphemism for a manic, lethal commitment to persecute and kill Jews right to the bitter end of the Third Reich on what became known as ‘death marches’. We know from the accounts of survivors such as Luba Varshavska, who spoke to Tomi in her home near Tel Aviv, that hundreds of female prisoners died on the cruel trek from Grünberg to Guben in the middle of winter. Many were shot for failing to keep up with the forced pace of the slog through snow and ice and biting winds. In her recorded testimony, Hilde Michnia claims she witnessed no ill-treatment of prisoners; indeed, she asserts that they were fed and cared for as well as could be expected by her and her SS comrades. Now Tomi has set himself the task of bringing this unrepentant SS guard to account, not only for her complicity in war crimes but for her public distortion of the truth and denial of the Shoah. Ironically, Tomi’s generosity of spirit has helped to heal others with a Nazi past. From Germany to Australia, those prepared to confront both the actions and the shame of their forefathers have found Tomi to be an inspiration and a source of support. In January 2015, following a public screening of Close to Evil in Lüneburg, Hilde Michnia’s admission that she was a participant in the Grünberg to Guben ‘evacuation’ in January 1945 prompted the German authorities to open an investigation into the then 93-year-old Hamburg woman. After the German premiere, a formal complaint was filed by Hans-Jürgen Brennecke, the son of a Nazi policeman whose father had justified the slaughter of Jews on the basis that ‘it was them or us’. Brennecke is a man who has faced up to the skeletons in his family cupboard. He believes many more Germans have still to come to terms with what their fathers and mothers did during the Third Reich. In the case of Hilde Michnia, Brennecke submitted that her claims that there was no maltreatment of prisoners on her watch at either the Gross-Rosen–affiliated camp or Bergen-Belsen amounted to ‘Auschwitz Luge’ – Holocaust denial, a criminal offence in Germany. Whether or not Hilde Michnia eventually faces trial is not the point of the process initiated by Hans-Jürgen Brennecke and supported by Tomi Reichental. Their aim is to confront the legally uncontested claims of an SS guard that under her care frightened, famished and frozen slave labourers were fed cocoa and hot soup – when those who survived this ordeal can recall only fear and loathing and the sound of gunfire directed at those who could not keep up with the pace of the retreat from the advancing Soviet Red Army. This book, first published in 2011, is a bestseller. It is, however, not the end of the Tomi Reichental story. Anything but. In 2015, two Irish universities, NUI Maynooth and Trinity College Dublin, bestowed on Tomi honorary doctorates for his ‘mission of remembrance’. Soon Dublin City University will confer a similar honour on Tomi. But it is the affection of ordinary people that is most striking. Tomi is often stopped in the street or on trains and trams by strangers eager to shake his hand and wish him well in his work. Every week Tomi speaks to students at schools all over Ireland. Close to 100,000 Irish second-level students have heard Tomi describe ‘the indescribable’. Wherever he goes, he is received as a valued, special citizen of the Irish Republic. In 2014 Tomi won a Rehab People of the Year Award. A frequent contributor to high-profile TV and radio shows, Tomi’s commitment to truth and reconciliation is regularly the subject of sympathetic media coverage. He is now a national figure whose actions are reverberating beyond Irish shores. Remarkably, in June 2015, on the occasion of his eightieth birthday, Tomi was invited to speak about the Holocaust to the congregation of a large Dublin mosque. The Imam of the West Dublin–based Islamic Educational and Cultural Centre, Dr Shaykh Umar Al-Qadri, pointed out that this was ‘a unique event in modern Europe, if not the world’. The Imam hopes that the example of Tomi reaching out to, and being embraced by, Irish Muslims will be a beacon for the rest of Europe to follow. Far from putting his feet up and taking it easy, Tomi Reichental is starting a new chapter in his remarkable life. He is embarking on new adventures and taking on fresh challenges. Long may he continue to inspire with his big heart, his open mind and his generosity of spirit. The journey continues. The man who was a boy in Belsen is still restless, and has ‘miles to go before he sleeps’. This month sees the publication of Irish Legends: Newgrange, Tara & the Boyne Valley by acclaimed author Eithne Massey. To celebrate the launch of this beautiful hardback for children, Eithne has retold the ‘The Deer’s Cry’ – a bite-sized Boyne Valley legend – just for the O’Brien Press Blog! St Patrick was a holy man. He brought Christianity to Ireland. There are many stories about him. But did you know the story of why his most famous prayer is called ‘The Deer’s Cry’? When Patrick first came to Ireland, he landed at the mouth of the Boyne and made his way towards Tara. He wanted to see the high king, Laoghaire. He was going to ask permission to tell everyone in Ireland about the new religion. But King Laoghaire’s druids were angry. They didn’t want any other religions in their country. Patrick and his friends started their journey to Tara. They began to make their way through the great forest. It was springtime. Birds followed where Patrick walked. Foxes and rabbits peered from their burrows, and small red squirrels jumped from branch to branch, keeping him company. Patrick had the gift of bringing animals to him, and even a shy deer came and drank from his hands as he rested by a stream. ‘Why do you waste time with a creature like that, when we are on the way to see a great king?’ asked Conall, one of his followers. ‘God is in every creature,’ said Patrick mildly. They continued on through the shadows of the wood, and suddenly Patrick stopped dead. ‘I think we might have someone waiting for us,’ he said. ‘You mean someone who means us harm?’ said Conall. ‘Are we in danger? What will we do?’ asked Benignus, the stable boy, looking around him nervously. ‘Don’t worry,’ said Patrick, and he closed his eyes and prayed. The chief druid’s men could never understand how Patrick and his companions got past them. They lay in wait for hours, their swords drawn. The sun set. The moon rose. The moon set, and then the sun rose again. The soldiers saw nothing but the birds and beasts of the forest. A flock of doves flew into the starry sky; a herd of shy deer passed them in the moonlight. Patrick reached Tara, and there he defeated the druids in a contest of magic. King Laoghaire allowed Patrick and his monks to travel throughout the land, spreading their good news. And that is why, ever since then, Patrick’s prayer has been called. ‘The Deer’s Cry’. Irish Legends: Newgrange, Tara & the Boyne Valley is available here and in all good bookshops. O’Brien Press Publisher, Michael O’Brien, talks about developing and publishing the 16Lives series over the past eight years. It’s easy to say yes to a brilliant concept! When Lorcan Collins marched into The O’Brien Press with the great idea of 16 Lives, a series of biographies of the sixteen executed leaders of the 1916 Rising, all to be published in time for the centenary in 2016, our response was, ‘A simple but brilliant idea,’ and ‘Go for it!’. That was in November 2007. 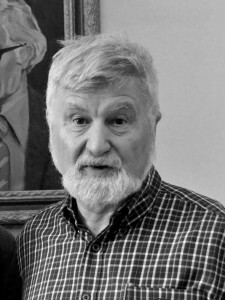 Lorcan suggested adding Ruán O’Donnell, senior lecturer in history at the University of Limerick, as series co-editor, bringing his huge historical knowledge and academic credibility to the table. But it wasn’t simple to anticipate all the challenges involved in a series of this scale. One fear was that some of the less well-known figures, like Thomas Kent and Michael Mallin, were too obscure, without enough known about them to make a book or find an audience. But with 2016 on the horizon, archives were opening and new facts emerging, and our ambition to create a more truthful and less propagandist history was made possible. In the case of Kent in particular, author Meda Ryan was surprised by the depth and range of information available about him and his networks. We recognised early on the value of adding photographs to each book in the collection – of the people, their lives, their actions. Lorcan helped create a collection of hundreds of photos, which were distributed for reproduction across the 16 Lives series. 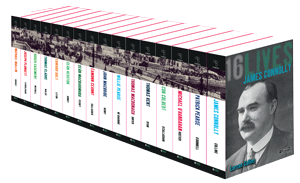 The book spines are an added treat: when the sixteen books are put together, a picture of O’Connell Bridge c.1916 emerges (buy a set and see for yourself). The 2016 centenary could have been a cynical damp squib marred by a simple-minded, propagandist approach. Apparently, at one stage the British government proposed the ‘Decade of Remembrance’ model, where we would honour the First World War, the War of Empires, equally with our struggle for independence against the very same imperialists. The Queen of England was offered as part of the 1916 package (of course she had a very successful visit in 2011). Stirring speeches at several 16 Lives launches opposed this formula. In fact, the centenary has inspired and moved young and old, native and visitor, and our friends in the EU and Britain to respect Ireland’s cultural revolution. It has encouraged a renewed look at the values of the Proclamation ‘To the People of Ireland’, all seven signatories of which were executed by the British (as well as the nine other leaders of the Rising). We conclude the 16 Lives series with a launch by Chief Justice Susan Denham in the GPO, the dramatic HQ and symbol of the Rising (what a strange, inadequate word). We have had eight launches over four years as the books were born, and the audiences have included many descendants of the leaders who organised what in retrospect was Ireland’s cultural revolution: Cumann na mBan, Gaelic League, GAA, Abbey Theatre, Fenians, Sinn Féin, IRB, and other movements in the USA. Many of the sixteen leaders were poets and playwrights, including Pearse, MacDonagh, Plunkett, Casement, Kent, O’Hanrahan and even Connolly. The 16 Lives project began in 2007 and, over eight years later, is now complete. History will judge its value. Thank you to everyone who made it happen: to Lorcan, Ruan and the individual authors who brought each of the sixteen to life so vividly; to the army of editors, researchers, indexers and designers who ensured the books are attractive, readable, reliable, and above all, fascinating; and to the marketing and sales staff who are working so hard to get the books into the hands of readers. Lough Derg: Penance or Paganism? With this summer’s three-day retreats to Lough Derg to conclude on 13 August, here’s a little extract from Old Ways, Old Secrets about the famous pilgrimage to the island on the lake which was the sacred Sanctuary of St Patrick. Another event occurs around Lughnasa each year, although it could hardly be called a celebration. In late July and August, pilgrims throng to tiny Station Island on the remote and mysterious Lough Derg to endure three days of harsh penitential observances. These include staying awake for the first night and all the next day, fasting for twenty-four hours, circling the stony ground of the island barefoot while saying prayers, and generally experiencing discomfort at the level usually reserved for trainee commandos. Yet the pilgrims not only survive, but many come back again, year after year. In pre-Christian times, there was a belief that here, at the edge of the known world, was an entrance to the Otherworld. Originally it would have been used by druids in their search for illumination and wisdom; they undertook severe trials such as starvation, isolation and sleep deprivation to extend their powers. Later, it was a place where the wealthy could themselves endure the starvation/sleeplessness ordeal. By experiencing the Christian Purgatory now, they believed, they could reduce the amount of penance due after death. The earliest maps of Ireland sometimes show Lough Derg and nowhere else, indicating its renown. Martin Behaim’s world map of 1492 is one such example. There is certainly evidence of priests complaining to Rome about the charges levied at Lough Derg in medieval times. So popular did it become that several popes tried to close it down. The permitted cave is clearly marked (as ‘Caverna Purgatory’) in Fr Thomas Carve’s Lyra Hibernica, dating from 1666. Here visions were seen, both hideous and beautiful. Some spoke of strange vapours that put you into a trance. Today, alas, that cave (and any further passages which may once have led off it) lies buried beneath the massive dome of the church that dominates the tiny island. It is unlikely that any concealed entrance, any locked trapdoor could be found under the massive weight of limestone and marble, polished wood and wrought iron. Whatever lies hidden keeps its secrets. St Patrick, we are told, fought some of his most demanding battles at Lough Derg, conquering a fearful serpent and imprisoning it forever in the lake. As we have seen, a saint taking on a serpent or dragon is always an attack by Christianity on pagan beliefs. Thereafter the island was given the name of St Patrick’s Purgatory. Old boatmen say the serpent comes out during storms and lashes her tail across the lake, showing she’s still there, just biding her time. The island on Lough Derg is a strange, brooding, almost threatening place when viewed from the embarkation pier on the mainland. The church and associated buildings so completely cover the little islet that they look to be floating in the water. Casual visitors are not allowed. You go there on pilgrimage for the full three days or you don’t go at all. And yet pilgrims praise the Lough Derg experience as one of enormous peace and happiness. ‘I loved it. It was so peaceful, and you had time to think,’ says one. ‘I went because I needed an answer to something really important, and I got it,’ says another. ‘I went with a special request and promised I’d go back if it was granted, and it was, and I did!’ says a third. Druids seeking enlightenment, pilgrims seeking answers? Perhaps the island on Lough Derg hasn’t changed its nature very much after all. We’ve just changed the way we express our beliefs. 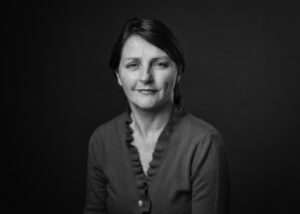 Jo Kerrigan grew up amid the wild beauties of West Cork; after working in the UK as writer, academic and journalist, she returned home to the place she loved best. 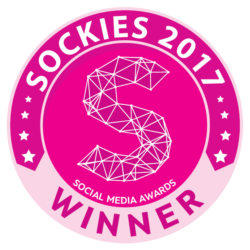 She now writes regularly for a range of publications, including The Irish Examiner and the Evening Echo as well as international magazines, and operates a very popular online weblog. Best-selling author Nicola Pierce, talks about her time researching and writing City of Fate. I am addicted to reading and have spent a lot of money on my book-buying habit, one book always leading on to another. For years, I limited myself to fiction until somewhere along the way, I began to buy and read books about writers: biographies, autobiographies, memoirs, essays, diaries and letters. At one point, I bought a second-hand book about the Russian poet Anna Akhmatova, Anna of all the Russias by Elaine Feinstein. As much as I’d like to admit to a deep appreciation for poetry, it just wouldn’t be true. However, I love to read about poets and their writing, even if I don’t ‘get’ their work. Halfway through the biography, it struck me that I was revelling in reading about Russia. I was unaware of what the Russians had endured, before, during and after World War II. I’d no idea Stalin behaved as he did, killing more of his own people than anyone else. Next I discovered A Writer’s War, a biography about Russian journalist and writer Vasily Grossman. This book not only introduced me to Grossman but also to the British historian, Anthony Beevoir, who wrote it. Grossman joined the Red Army to behold the fight against the invading Germans. This is where I first read about the Battle of Stalingrad. After finishing this biography, I read Grossman’s novel, Life and Fate about the battle and civilian life under Stalin. Inevitably, I bought Beevoir’s best-selling Stalingrad and by this stage was hooked on history and war. My library was expanding, as any decent library should. There were two stories in Beevoir’s book that jumped out at me. Firstly, how a Russian teacher was ordered by the NKVD to enrol his class of thirty sixteen-year-old boys in the army to fight at Stalingrad. By the time he reached the registry office, half the class had vanished. Beevoir could not confirm the teacher’s fate but thought it highly probable that the man paid for this ‘infraction’ with his life. The second story concerned a massacre of a small Jewish village in rural Russia. The parents were shot first and then, following some debate, so were the children, aged seven right down to toddlers … even babies. This second story also appeared in William Craig’s book, Enemy at the Gates (much, much better than the film) and in a documentary I watched on The History Channel. It’s not the sort of thing one can easily forget. I’d absolutely no idea how I would incorporate it into a children’s novel but I was determined to include it somehow, though even now I can’t explain why. Perhaps I will be criticised for this because, well, I won’t make it too easy! In any case, it’s just a small mention but I stand by it. From the very beginning, I had two boys in mind. I didn’t know who they were but they kept turning up in my mind’s eye, walking through the ruined streets of Stalingrad, mostly oblivious to the two warring armies around them. I wanted the story of the teacher and the fifteen pupils who stood by him. What is it like to be a schoolboy one minute and then an inexperienced soldier in the midst of a deadly battle? I tried to imagine the fear and confusion, especially when it came to actually having to kill another human being who was trying to kill you. The story grew thanks to the characters. I don’t plan my books and generally have little or no idea what I will write, from day to day. This can be quite scary but I can’t seem to break the habit. All I knew was that I wanted to include as much fact as I could, as I did in Spirit of the Titanic. Also, I wanted to show that there could still be beauty in wartime, whether it’s a solo rendition of Beethoven or a charcoal drawing of Mary and baby Jesus. Art might not change your life in such situations but it can help, even momentarily, to lift your spirits. I wanted to explore what motivates a person to fight and keep fighting when all seems lost. I think I managed to work it out: I think it’s about the importance of “home”. Just before City of Fate went to the printers, I unexpectedly received the new sixth edition of Spirit of the Titanic. I am writing this essay a month before City of Fate reaches the book shelves and – there’s no denying it – I am nervous. Recent sleepless nights have been spent trying to distract myself from visions of readers finishing the new book and finding it inferior to my Titanic story. However, I have to remind myself that no matter what the reception is or what anyone else says about City of Fate, I did it. I wrote a second novel. And it’s a book that I would like to read. I simply have to accept that I have no control over what happens next! City of Fate is now available at www.obrien.ie and most good bookshops. What did the Normans do for Ireland? This is the question that Conor Kostick aims to answer in his new book Strongbow – The Norman Invasion of Ireland. Here he talks about the book’s journey to publication. In a way, this book on Strongbow has been a lifetime in the making. I grew up in Chester, a town in the UK that in medieval times had a very strong connection to Dublin. My dad was a tour guide in Chester and being from Dublin, really explored that connection in depth. Our house had three or four shelves of academic books about the medieval period. And as kids, my brother Gavin and I would love to play in the ruins of the castles we were taken to on outings. My raw enthusiasm for the subject was channeled in a more scholarly direction by my attending Trinity College Dublin as an undergraduate and a postgraduate in Medieval history. TCD had – and despite suffering from the impact of austerity policies, to a large extent still has – a real concentration of expertise in the period (Strongbow came to Ireland in 1170). I’m thinking of Katharine Simms, Terry Barry and Sean Duffy in particular, but also I.S. Robinson, who helped me considerably with my reading of Gerald of Wales, our main source for these events. The book took solid form thanks to a remarkable stroke of luck. In the summer of 2010 I was writer-in-residence at Farmleigh, for my fiction writing. But there Julia Cummins, the librarian, knowing my interest in medieval history, showed me a Latin manuscript, a copy of the Topographia Hibernica by Gerald of Wales. Feeling like a character in a Dan Brown novel, I examined the document with growing excitement. It turned out that this was a version of the Topographia unknown to modern scholarship, due to the fact it ‘disappeared’ from view in 1969, into the private collection of Benjamin Guinness. Marsh’s Library, which assumed responsibility for the Farmleigh Library in 2009, awarded me a fellowship in 2011 to work on the manuscript and this was really useful for getting to grips with Gerald of Wales. Having said all this, I don’t want to give the impression that Strongbow is a book written for academics. It isn’t. Here, I’m writing for everyone interested in the story of Strongbow’s involvement in Irish affairs and while my narrative relates to the information we have from historical and archaeological sources, I didn’t want to fill the text with endless qualifications and justifications. For those who want that extra depth, I make suggestions for further reading in an afterword. With Strongbow, I was trying to write the kind of history I love to read when I’m not seeking a specialist piece of research. I’ve tried to do justice to the passions and violence of the era and the qualities of the main personalities. In particular, I read Diarmait Mac Murchada’s feud with Tigernán Ua Ruairc of Bréifne as being so bitter that Mac Murchada is a kind of Captain Ahab figure, willing to set aside all the usual norms of the Irish aristocracy in pursuit of vengeance. 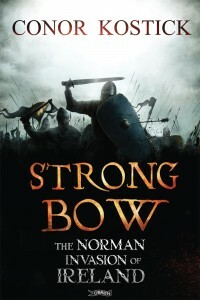 One last point worth stating is that the book does not take the usual view that the arrival of Strongbow’s army represented a clash of two rival ethnicities, the Saxon and the Celt, not least because Strongbow’s knights saw themselves as ‘Franks’ and spoke a variant of Norman French. Rather, Strongbow deals with what lay beneath the personal dramas, the clash of two differing social systems. Author Marilyn Taylor recently spoke at the Holocaust Memorial Evening in Northern Ireland. Marilyn has researched the Holocaust extensively as part of her work as a writer. One of her most popular books, Faraway Home, is about two Jewish children sent from Nazi-occupied Austria to a refugee farm in Northern Ireland. This is based on the true story of the refugee farm in Millisle, County Down. Tonight, on the 27th January we are joining other countries round the world that are also marking International Holocaust Remembrance Day, the anniversary of the day in 1945 when the largest and most notorious Nazi death camp, Auschwitz-Birkenau, was finally liberated by Soviet troops. As well as remembering the Holocaust in Europe, we are also commemorating other violent genocides of recent times in Cambodia, Rwanda, Bosnia and Darfur. Appropriately, tonight’s theme: Communities Together, Building a Bridge, reminds us all of the need to reach out to others, and to embrace difference, both far away and close to home. This theme is also exemplified by the story of the Kindertransports and by the poignantly linked story of Millisle Refugee Farm, both of which have particular historical significance here in Newtownards, which is so close to Millisle. As we know, the first persecution of the Holocaust, primarily of Jews but also other groups of convenient ‘scapegoats’ began immediately when Hitler and his Fascist Nazi Party were elected to power in Germany in 1933. It finally ended with the Allied defeat of the Nazis in 1945, after the destruction of six million Jews. A further five million people, whom the Nazis considered to be “untermenschen”- “undesirable”, were also murdered, including Gypsies – now known as Roma & Sinti – socialists and communists, trade union members, gay and lesbian people, people with disabilities –both mental and physical – Jehovah’s Witnesses, black people, Freemasons, and many Slavic people, and of course, all who opposed the Nazis by word or deed. And these are just the deaths. After the final Nazi defeat, millions more were left dying or horrifically wounded and tormented in body and spirit. The mass murder of the Holocaust was carried out by the Nazis and their collaborators on an industrial scale all over Europe. This was ‘killing by assembly line’, with prison camps, forced labour camps and death camps efficiently linked by the Nazi-controlled rail network of Europe. All this was of course unknown to me, a ‘war baby’ born in England, to a family evacuated from London. Yet, I retain vivid memories of the war: the terrifying shriek of air raid sirens, my mother running with me in a buggy to the bomb shelter, and the thousands of V1 and V2 rockets that wreaked random death and destruction, striking fear in all our hearts. Later, growing up in grey post-war London and learning what was then the recent history of the Second World War and of the Holocaust, I began to realise how lucky I had been, sheltered from the terror in Europe by an accident of geography. My sister and I could have been among the huge numbers of Jewish children who died at the hands of Nazis and Fascists – of hunger and disease, in the ghettoes, in the boxcars, in the concentration camps, and in the gas chambers. This realisation has stayed with me, and I think eventually led me much later to try to write about the Holocaust in a way that I hoped would capture the imagination of both young and adult readers, and help keep the memory alive. In the late 1930s a few British Christians, Jews, and especially Quakers, came together, having witnessed the increasingly vicious treatment of Jews, both young and old, in Nazi Germany– through public humiliation, beatings and round-ups by Nazi thugs & SS men. Together this group pressed the British government to allow in Jewish children, the most at risk. After the terrible warning of “Kristallnacht” (the Night of Broken Glass) in November 1938 when Jewish synagogues, homes and businesses were smashed, looted and burned, frantic Jewish parents – themselves refused entry by most countries – made the difficult decision to send their children to Britain on these Kindertransports. In this way about ten thousand German, Austrian and Czech unaccompanied Jewish children under the age of sixteen, were rescued from the clutches of the Nazis just before the War. The children, each clutching a small suitcase with a few precious belongings (though nothing of value was permitted) said farewell to their parents, few realising that they might not see each other again. Former refugees later described those never forgotten heart-breaking scenes at the railway station to me in graphic detail. They travelled in groups of two or three hundred, each wearing labels with name and destination. On their arrival in Britain, fearful and bewildered, and of course speaking little or no English, they were sent all over the country, to boarding schools, castles, farms, family homes – wherever people would take them in. A random group ended up in Northern Ireland, and the small Belfast Jewish community immediately responded. Some were fostered by local families, both Christian and Jewish. An old farm at Millisle, Co Down – known as Magill’s- was leased, initially housing thirty to forty children, plus older German-Jewish refugees training in agriculture in Northern Ireland. Adult refugees helped administer the farm. About three to four hundred, mostly young people, passed through Millisle between 1938 and its closure in 1948. Funds were raised by the Belfast and Dublin communities, from the Central British Fund in London, and the Northern Ireland Ministry of Agriculture. Belfast Jewish community leaders set up a Refugee Aid committee; a Committee for German Refugees was also launched in Belfast with funding from the Joint Christian Churches, including Presbyterians, Methodists, Church of Ireland, Quakers and Catholics. During my research, I tracked down many former refugees, meeting some in person, and sending detailed questionnaires to others. In response, I received phone calls, long descriptive letters, hand drawn maps, photographs and a 14-year-old girl’s moving diary; they all had a story they wanted told. At Millisle, the young refugees, struggling with homesickness and anxiety about their families far away, had to learn to make a new life. Neighbours helped to train them in farm work. At the local two-teacher school, (the original Millisle Primary school) each refugee child sat with a local child to help them learn English and perhaps make a friend – which many of them did. Decades later, some of the former refugees returned to visit Millisle with their own families. Despite food shortages and air raids on nearby Belfast – and indeed, a raid close by in Newtownards – it was a healthy life, remembered positively by many: going to the beach, fishing, games of Monopoly, football, the small synagogue on the farm, the Belfast rabbi visiting; sometimes concerts in the evenings, often concluding with the traditional Jewish dance, the Hora. On Saturday evenings, they walked the three miles along the shore to the local cinema in Donaghadee where the owner allowed them in free. Later, older refugees joined the Air Training Corps, the Red Cross, and the Pioneer Corps of the British Army, to help fight the Nazis. After the war began, all letters stopped, and the refugees’ only communications with their families were brief Red Cross messages, which ceased after 1943. There were occasional distant rumours about death camps. However, not until after the war ended in 1945 seven years later, did they learn the horrifying truth. Many had lost every member of their family in the Holocaust. Their parents, by sending them away, had saved their lives. Now most were orphans but in terms of the Holocaust, they were among the lucky ones. Yet despite everything, many of the former refugees went on to live good and productive lives, never forgetting their families, or Millisle. And neither they, nor we, will ever forget those people, and those no longer with us, who played such a significant role in this special chapter in the history of Northern Ireland. In conclusion, there are many lessons that we can learn from the story of Millisle and the devastation of the Holocaust. Firstly, because there was virtually nowhere Jews facing annihilation could go, a country, Israel, came into being. The Kindertransport scheme was indeed a shining example of humanity. But put in context, they could only save ten thousand of the one and a half million Jewish children killed because there was no country that would take them in – not Britain, not Ireland, not the United States. When history calls, we all have a responsibility to answer. Secondly, the Holocaust throws up some of the greatest challenges for us as individuals. What do you do when a Jew comes knocking on the door at night seeking shelter, when the penalty for taking in a Jew is death, as it was in wartime Europe? What would any of us do? And how should we respond when other challenges to our humanity confront us and threaten us? Thirdly, the Holocaust is not an abstract issue of history – it is about each and every one of us. To find out more about Marilyn’s books click here.